France Trampoline has designed trampolines for passenger multihulls for the last 20 years. If you are the owner of a cruiser catamaran such as a Lagoon, Nautitech, Catana, Fountaine Pajot, or even Outremer, please check our website to check out our prices and our recommendations. We can also design your net made-to-measure. 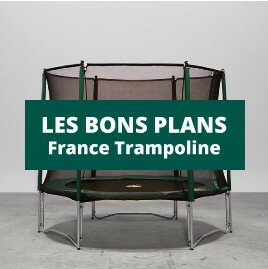 A quality trampoline for your cruiser catamaran ! We offer different materials depending on the type of comfort that you are looking for and your budget : polyester, multitramp, Batyline, canvas or mesh, each material is perfectly adapted, whatever your boat. Mesh is the most currently used fabric on small beach catamarans. Batyline is also available for small boats, as is canvas. Multitramp is incredibly resistant and usually found on bigger boats. Other There are 31 products. Polyester or technical canvas trampoline for the Nautitech 441 trampoline. Polyester or technical canvas trampoline for the Nautitech 435 catamaran. Trampoline in polyester or technical canvas for Nautitech 475 catamaran trampolines. Trampoline net in polyester or technical canvas for the Catana 43 catamaran. Trampoline in polyester or technical fabric for the Catana 381 catamaran. Trampoline net in polyester or technical fabric for the Catana 47 catamaran. Trampoline net in polyester or technical fabric for the Catathai 34 catamaran. Trampoline net in polyester or technical fabric for the Catathai 40 catamaran. Trampoline for CATANA 42 catamaran available in F3030T or F1313T netting.